Silk scarves and ties were the centerpiece of the night. Hèrmes Mens transformed their Fifth Avenue flagship into a record-store themed party to celebrate “Silk Mix,” a temporary art installation featuring the brand’s iconic silk scarves and ties. Crates of records featuring music played during their men’s fashion shows over the years were on display on each floor, along with artful patterns of silk scarves and record coverings. Guests enjoyed hors d'oeuvres and cocktails inside the store, which was padded in sound absorbing foam, like you’d find in a recording studio session. DJ Patrick Vidal got the party grooving; notable guests included Hermès CEO Robert Chavez and Alex Assouline. The party favor included an authentic record named after the installation, encased in custom Hermès artwork. Girl About Town had a fun night out with the boys. See below for exclusive pictures. The Silk Mix exhibition at Hèrmes Mens in New York. Partygoers sipped on champagne cocktails. The guest DJ of the night was Patrick Vidal (pictured on right). Printed cassettes were hung on the walls, alongside printed silk scarves. Records featured music played at former Hèrmes Mens fashion shows. 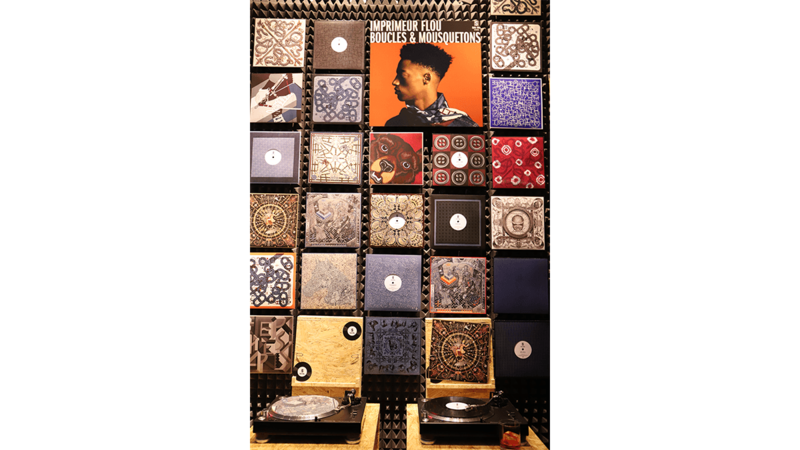 Artful patterns of silk scarves and record coverings adorned the store walls to celebrate the theme of the night. To learn more about the traveling installation, visit hermes.com.